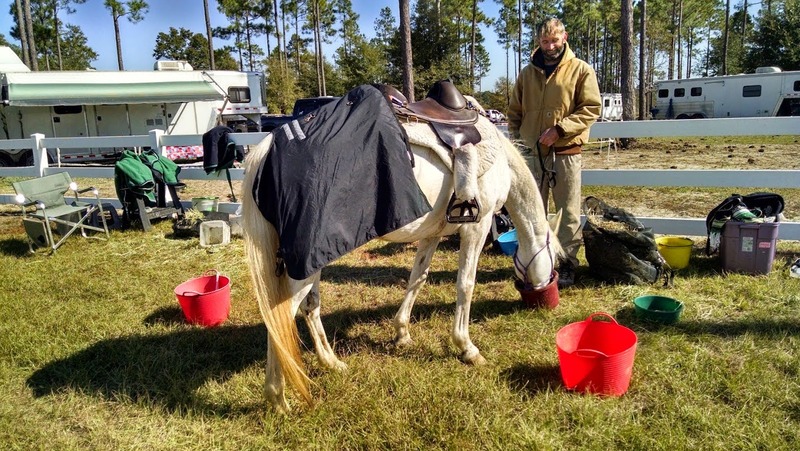 EnduranceRider: It's been a long winter! Hoping that now that daylight saving time has come, the good weather is not far behind! We had a period of 3 weeks or more where we were pretty much home-bound. Nashville does not do ice and snow! Sasha, the new mare, has settled in nicely. I did a 25 mile ride with her in November at Blackwater Boogie. She did really well for being a little mare just out of the hunter/jumper arena. That was maybe her 20th trail ride ever. She ate extremely well. I'm so used to Tanna being so picky, it's refreshing to have the mare almost knock me over to get to her food. Tanna has been resting since his 100 mile attempt and seems ready to get back to work.